People have long complained about the price of accessories for Apple products and this certification program is part of the reason prices are high. 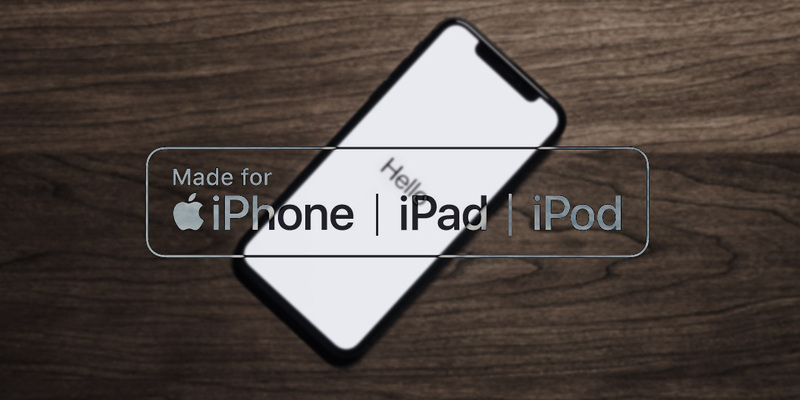 Apple’s MFi program is getting a new set of logos and manufacturers have 90-days to make material and packaging changes. For those who aren’t familiar with MFi, it’s Apple’s certification program for third-party accessory makers. Apple has had this program in place for many years and it serves a few purposes. One is to try and provide users with accessories which Apple itself vouches for. The company grants the certification to accessories that pass its performance and quality control parameters. Another is to monetize the certification by charging the same third-party accessory maker for use of the MFi logo, which the manufacturer passes on to the consumer. According to an inside informer, Apple announced the packaging and MFi logo changes to their already certified manufactures on February 9th. Now, the manufactures will have 90 days to update their packagings and MFi logos. The new Apple MFi certified logos. People have long complained about the price of accessories for Apple products and this certification program is part of the reason prices are high. Apple is trying to make it so all manufacturers use the program or face legal ramifications. Still, there are plenty of non-certified Apple accessories for sale, most of them come out of the Chinese market. Apple has a bit harder time controlling what gets made in China so these usually slip by. It is worth noting that in recent year, Apple has increased the protection of its intellectual property rights. Therefore, third-party manufacturers using MFi logos without official authorization from Apple will face great legal risks. What do you think of these new logos? What do you think of Apple’s MFi certification program? Let us know in the comments below or on Google+, Twitter, or Facebook.